Raytech USA - A little more information about our company. Since January 1997, Raytech USA has been a world leader in the design and production of precision electronic measuring instruments and systems. 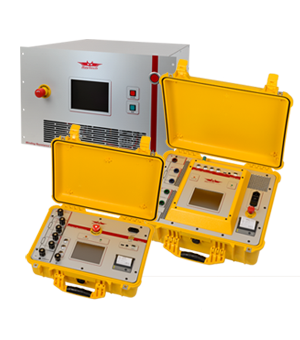 We have worked successfully for over 20 years to build a reputation for designing rugged test equipment for easy operation, precision and accuracy while obtaining quick results. We continue to manufacture the easiest-to-use test systems that help make the jobs of our customers more productive. It is our goal to produce reliable measuring systems for the international power industry, and innovation is the driving force behind our design concepts. Raytech produces each system with extensive designing and testing, along with valued input from our customers. Providing unsurpassed customer service and post-sales support is what makes us stand out from our competitors. Raytech products are designed to give users many years of trouble-free use, which is why we can offer a five (5) year warranty standard with every test instrument we build. Providing Money-Saving Benefits to Your Testing Program. Read more about the ways Raytech will make your job more productive.